Treat mature skin to a burst of hydration with the Gatineau Age Benefit Integral Regenerating Cream for Dry Skin. Day after day, the skin will become retexturised and appears smoother, firmer, more radiant. Gatineau Age Benefit Integral Regenerating Cream for Dry Skin is dedicated to dry and ageing complexions. A "cellular communication re-programmer" it contains two avant-garde active ingredients that work complementarily on two key growth factors which delay the visible signs of ageing and boost skin regeneration. Apply to your face and neck morning and night. This cream is very good for dry skin. It does have a slight fragrance to it which some people may not like. Left my skin feeling moisturised but not greasy at all. Will definitely repurchase. I would never use this again. Even if I was dragged through a field of shattered glass backwards and needed soothing. This is a product of the devil and makes me extremely angry. This is Gatineau's top of the range anti-aging cream and I have been keen to try it for some time. At the price offered by Lookfantastic, I grabbed the opportunity and have not been disappointed. It has a lovely texture and the appearance of my skin improved after using it for only a few days. I have never done a review before but I had to say something about this Gatineau Age Benefit Integral Regenerating Cream as I am so happy with it. Being a skincare therapist, I have just about tried every product on the market for my dry skin. I also have acne scars and pigmentation which has also been improved in less than a month. My skin looks like it has never looked before - I am so glad I have finally found something worth my money! I have been a user of Gatineau for more than 15 years. 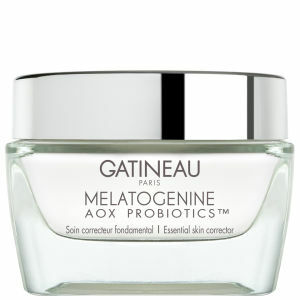 As I age there is a solution for the needs of my skin in the form of Gatineau Age Benefit Integral Regenerating Cream. I'm 55, and my skin receives excellent hydration and it brightened. There's no more tired or dull skin. I keep coming back to this cream. I am often complemented on how good my skin looks when I am using this cream, I travel a lot and it is so nice to just caring one moisuriser that is suitable for day and night. After having tried many moisurisers, this is the one!! !